A riveting Krüger masterpiece of the Rolling Stones! The artist's largest painting to date. Krüger worked for 5 months (December 2008 - April 2009) to create this major life work and colossal tribute to the band. 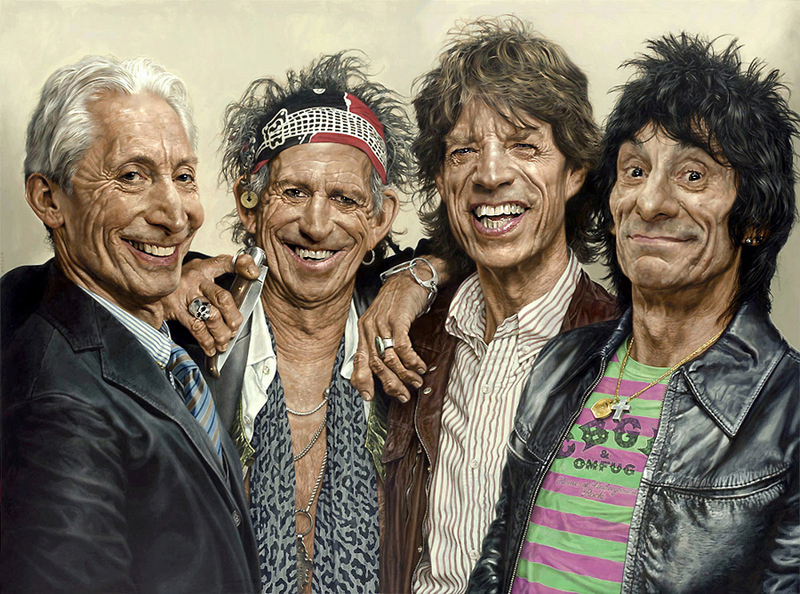 An amazing larger than life portrait featuring Charlie, Keith, Mick and Ronnie. Sebastian Krüger pictured above in front of the Stones piece. The Rolling Stones were one of the vanguards of the British Invasion of bands that became popular in the U.S. during the early sixties. Notorious at first for their long hair and brash music. The band quickly became revered by the youthful and rebellious counterculture of the 1960s. They were perceived by the youth of Britain, and then the world, as representatives of an opposition to the established authoritarian order. 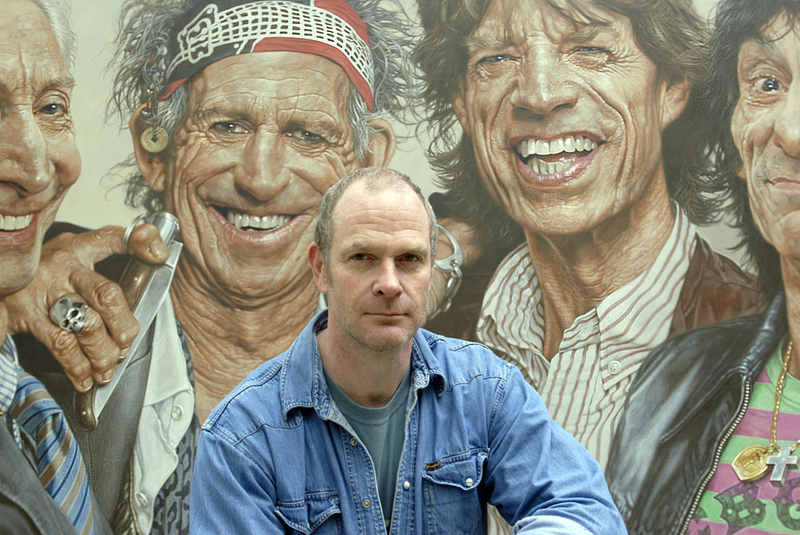 The Rolling Stones are broadly considered "The World's Greatest Rock and Roll Band". They were inducted into the Rock and Roll Hall of Fame in 1989, and the UK Music Hall of Fame in 2004. Rolling Stone magazine ranked them fourth on the "100 Greatest Artists of All Time" list. Their estimated album sales are well above 250 million. The Stones have released twenty-nine studio albums, eighteen live albums and numerous other compilations. Let it Bleed (1989) was their first of five consecutive number one studio and live albums in the UK, while Sticky Fingers (1971) was the first of eight consecutive number one studio albums in the US. In 2013 the band ranked 10th on the Billboard Hot 100 All-Time Top Artists chart.